Here is a fascinating little nugget from California. 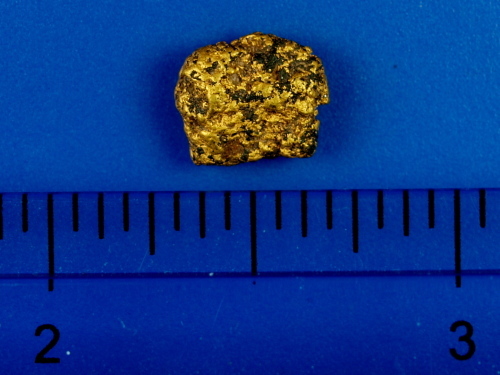 This awesome little specimen has a small amount of magnetite inclusion, which makes it stick to a magnet! 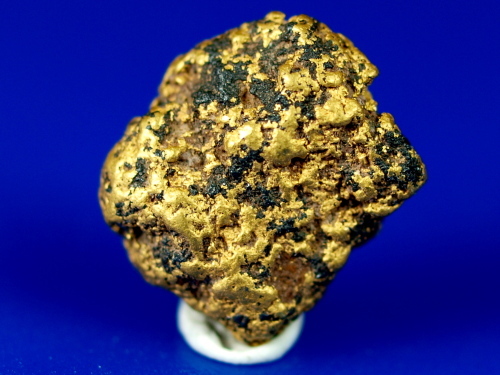 The only other nugget like this that we have seen for sale was sold by us (see the large nugget page), and it sold in two days. 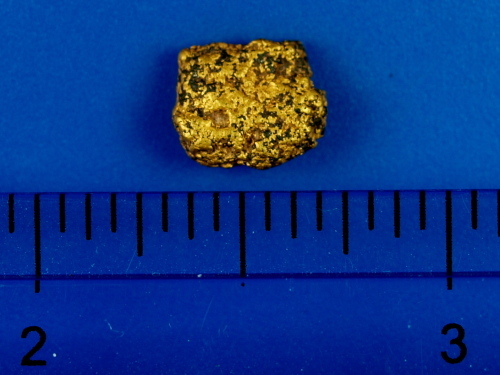 This cool little nugget was found by a prospector in southern California with a metal detector. 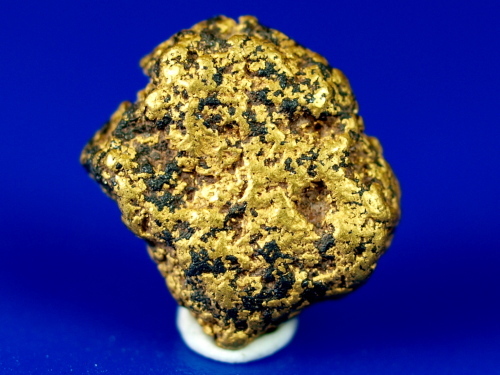 He has hit the area pretty hard and has since moved on to "greener pastures" for this year, so it's doubtful that there will be any more magnetic gold for sale in the near future, if at all... get it while you can.